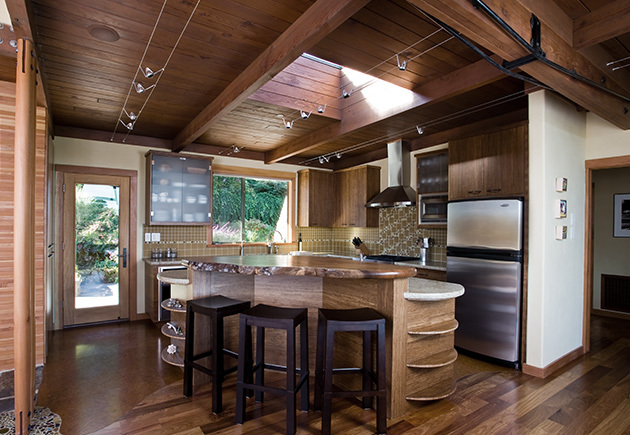 This 1940s ranch house in Inverness, CA was extensively remodeled with a careful eye for green design. Features include a living roof with native plants, photovoltaic panels, salvaged and FSC sustainably harvested woods and other green materials. The lighting was designed to compliment the architecture while still meeting green design standards. Energy efficient fluorescent and LED technology was used throughout the home and exterior landscape.